I’ve just given my ‘digital home’ a little refresh to give you – yes, you – a better experience of my website. 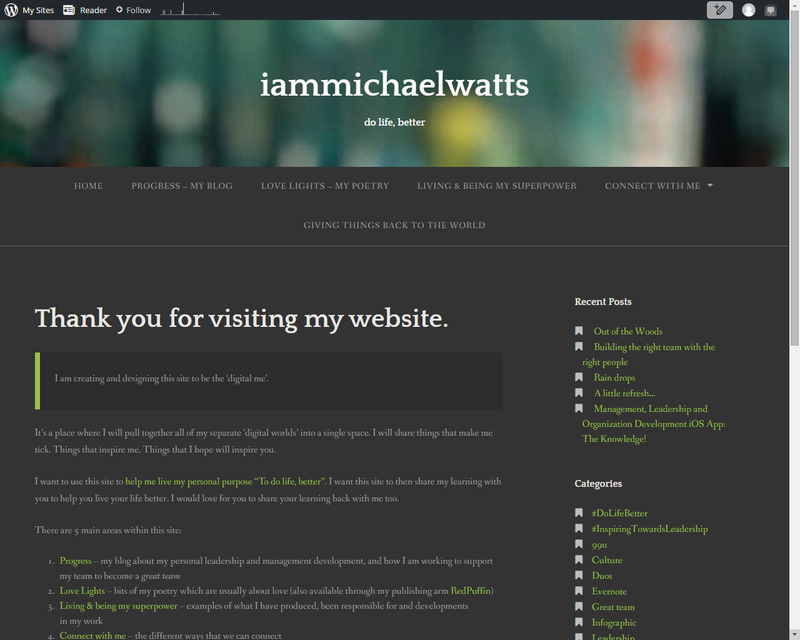 Check it out at www.iammichaelwatts.com. I’ve also added a new product to my Giving things back to the world page. 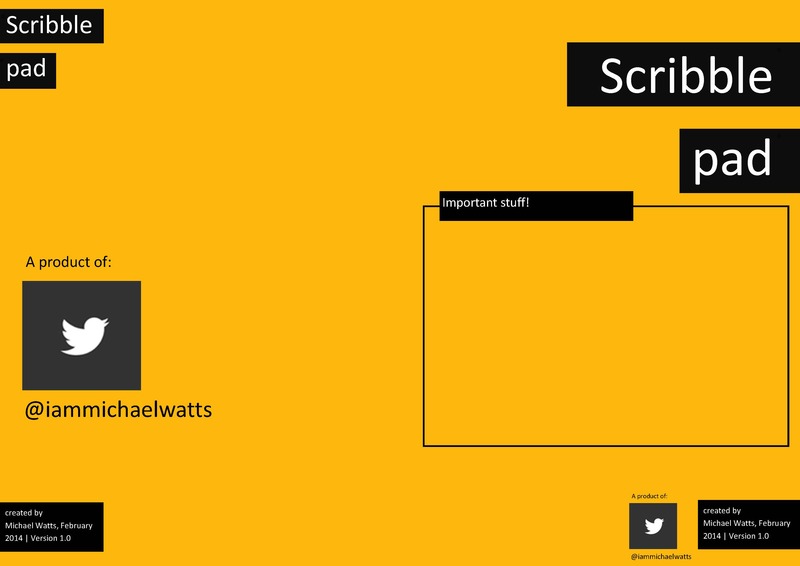 My Scribble Pads offer free open space for notes, drawings, diagrams, etc. 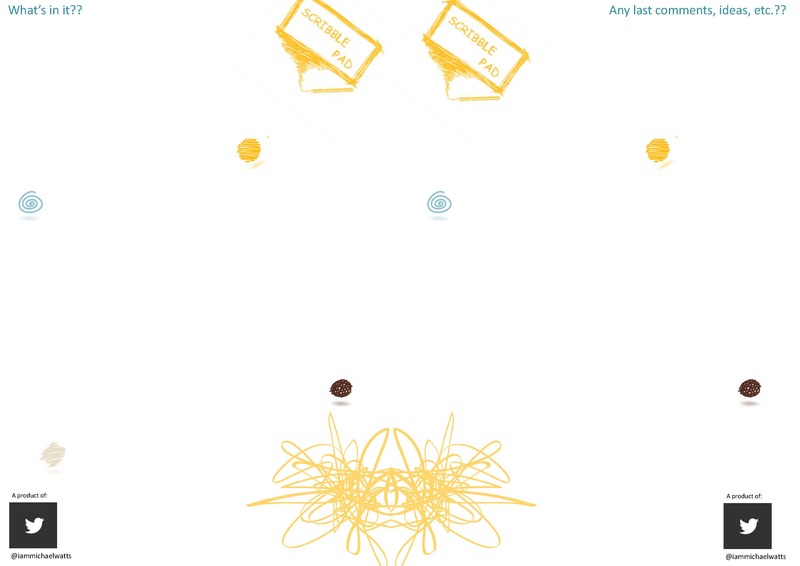 as there are no visual lines to contain your thoughts. My Scribble Pads can be printed on A4 or A3. I recommend printing them double-sided, and flipped on the short edge, with about 10 inside sheets as well as the front cover/inside page. And then put them all together, fold in half and staple down the middle. They are currently available in four colours: yellow [shown below], red, blue and pink/purple. Check them out on my Giving things back to the world page. Having a superpower of creative thinking means that over the years I’ve been involved in the production of a range of different things. Visit my new Living & being my superpower page to find out how I’m living & being my superpower in my work. I’d love to know what you think. So, have a click around the site – and drop me a message if you want to join me in my journey “to do life, better“.